www.malaysianidentity.com :: View topic - Branding Malaysia, process and/or object? 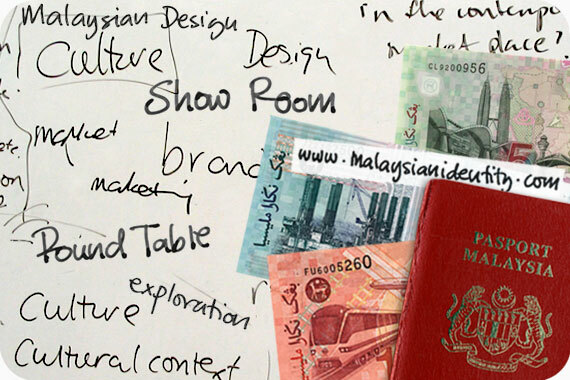 Post subject: Branding Malaysia, process and/or object? Just to echo back to what Chris mention in the forum 'Do we need to brand Malaysia' in his last post, "what kind of �image� are Malaysians looking at when consuming an item?" I think perhaps that designers can play their roles in this, i mean in creating the products, the process of creating. Putting in the Malaysian value or elements in. But also creating it in different level or status. Not just a creepy one. I don't really know where this will lead us, but it would be interesting to look at what kind of image that Malaysian wants. What status is our status? I'm very interested in Malaysian traditional products, i know that these products is everywhere in overseas and being valued by others around the world, but in Malaysia these products is not very 'popular'. It also echos back to the status that the we want to potray. The product that i have in mind is like, 'labu buyung', 'tikar mengkuang', 'batik' and many more. I don't know, just something to think of, I guess.